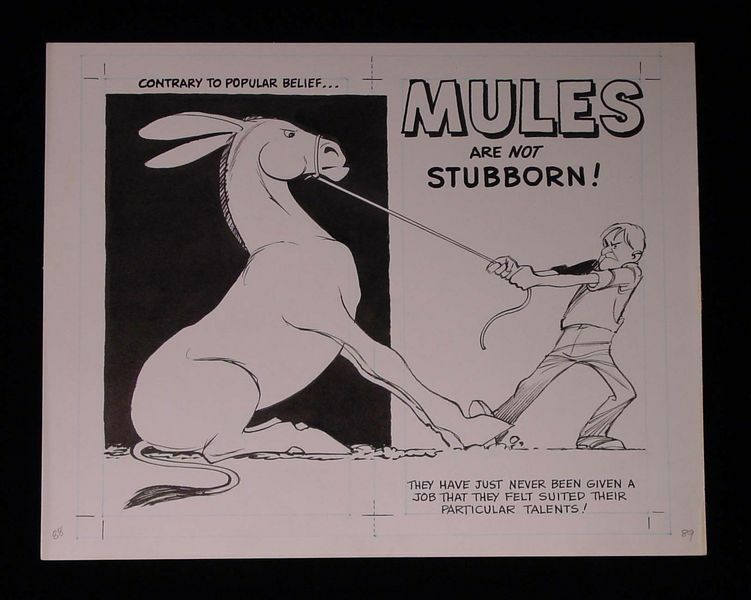 Mules have a reputation for being stubborn. This is a lot of bad PR!! 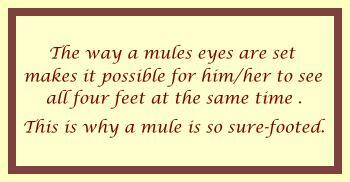 Mules are not stubborn by nature. We do, however, have a well developed sense of self preservation and are intelligent. 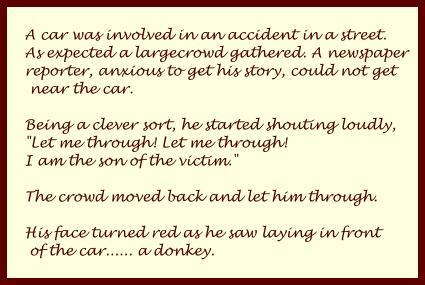 Therefore if a mule is overworked, mistreated or otherwise put in jeopardy, he/she will react to protect him/herself...therefore giving the appearance of being stubborn or disobedient. Mules do not stink!!! If kept well groomed and in clean quarters mules do not smell any more than well groomed horses.